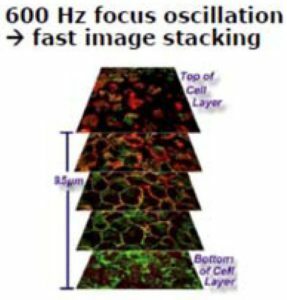 Liquid lens technology, with its ability to change focus within the order of milliseconds is opening up a host of new applications in both machine vision and the life sciences. It is gaining growing interest from a wide cross section of applications and easily adapts to standard machine vision lenses. Liquid lens technology alone provides nice solutions, but when combined with advanced controls, many more applications can be solved. To learn the fundamentals of liquid lens technology and download a comprehensive white paper read our previous blog HERE. In this blog, we will highlight several case application areas for liquid lens technology. Case 1: Applications requiring various focus points and extended depth of field: This does cover many applications, such as logistics, packaging and code reading in packaging. Liquid lenses provide the ability to have pre-set focus points, auto-focus or utilize distance sensors for feedback to the lens. In the example below, 2 presets can be programmed and toggled to read 2D codes at various heights essentially extending the depth of field. Case 2: 3D imagery of transparent materials / Hyperfocal (Extended DOF Images: When using an Optotune liquid lens in conjunction with a Gardasoft TR-CL180 controller, sequence of images can be taken with the focus point stepped between each image. This technique is known as focus stacking. This will build up a 3D image of transparent environments such as cell tissue or liquid for analysis. This can also be used to find particles suspended in liquids. 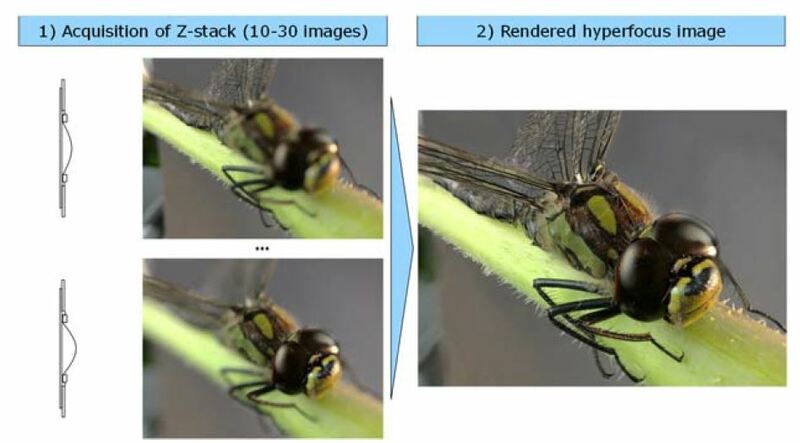 A Z-stack of images can also be used to extract 3D data (depth of focus) and compute a hyper-focus or extended depth of field (EFOF) image. The EDOF technique requires tacking a stack of individual well focused images which have preferably been synchronized with one flash per image. An example is show below with the rendered hyper focus image shown at right. 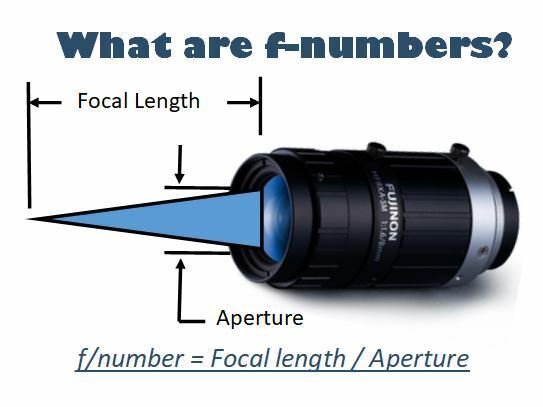 Case 3: Lens inspection: Liquid lenses can be used to inspect lenses, such as those in cell phones for dust and scratches looking through the lens stack. For this application, a liquid lens is used in conjunction with a telescentric lens taking images through different heights of the lens stack. 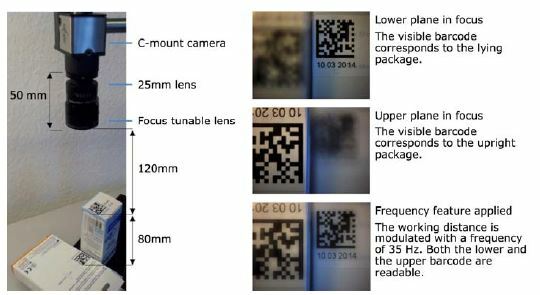 Case 4: Bottle / Container inspection: Optotune Liquid lenses can be used to facilitate image bottom’s of glass bottles or containers of various heights. In this example, the camera is consistently at the neck of the bottle, but the bottom is at different heights. 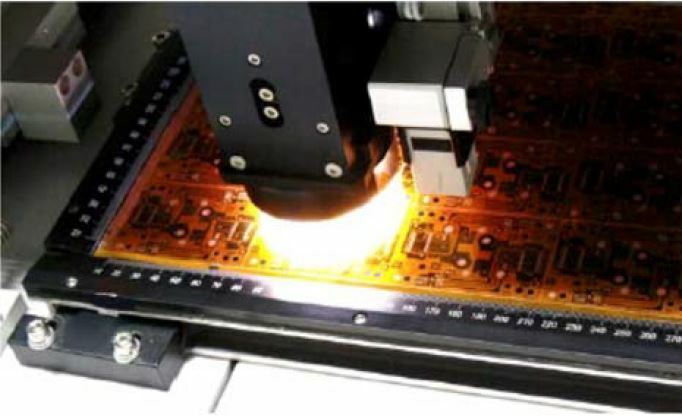 Case 5: Large surface inspections with variation in height: Items ranging from PCB’s to LCD’s are not flat, have various component heights and need to be inspected at high magnification (typically using lenses with minimal DOF). Optotune Liquid lenses are a perfect solution using preset focus points. 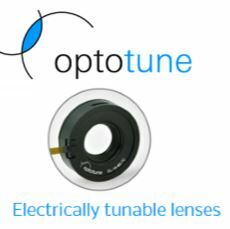 Machine Vision applications using Optotune Liquid lenses and controller are endless! These applications are just the tip of the iceberg and many more exist, but this will give you a good idea of capabilities. 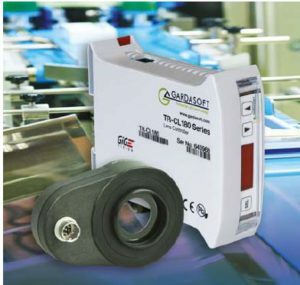 Gardasoft TR-CL controllers are fully GigE Vision compliant, so any compatible GigE Vision client image processing software such as Cognex VisionPro, Teledyne Dalsa Sherlock or National Instruments LABVIEW can be used easily. 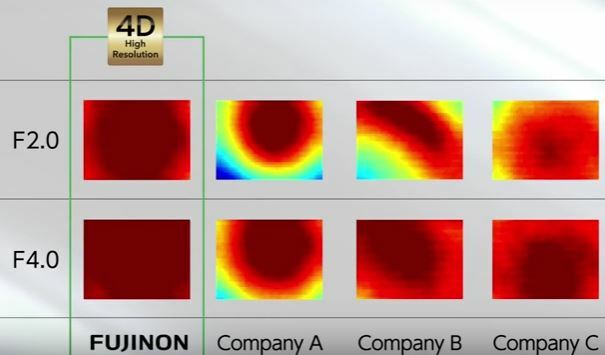 Learn how liquid lenses keep continuous focus on machine vision cameras when the working distance changes. 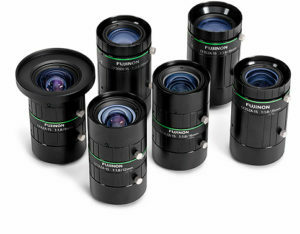 FUJINON has released its new CF-ZA-1S lens series supporting high resolution 1.1″ format images sensors down to 2.5um pixel pitches. This new series has some unique differences making it our go-to lens for this format size. In this blog, we cover the unique differences, which are at a price point equal to or lower than competing brands, making it the best in its class. The FUJINON CF-ZA-1S series with support of 2.5um pixels can be used essentially with any image sensor up to 1.1″ formats needing resolution for small pixels. Focal lengths from 8mm to 50mm are available. In general, the illumination of the peripheral areas of the image is determined by the “relative illumination” and the chief ray angle (CFA). 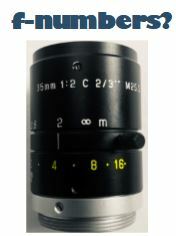 FUJINON has designed the lens series to constrain the CRA allowing a good balance to the peripherals of the image as seen below. 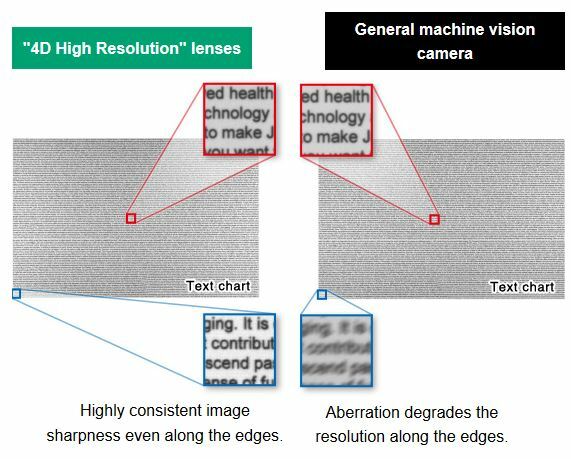 For machine vision applications needing even illumination, this becomes very important for repeatability. 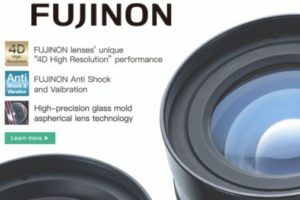 FUJINON has done a great job within their new lens series to incorporate anti-vibration and resistance to high impacts for no extra cost! In applications such as robotic applications, autonomous vehicles and airborne applications to name a few will benefit from this feature. This video highlights these features and more. 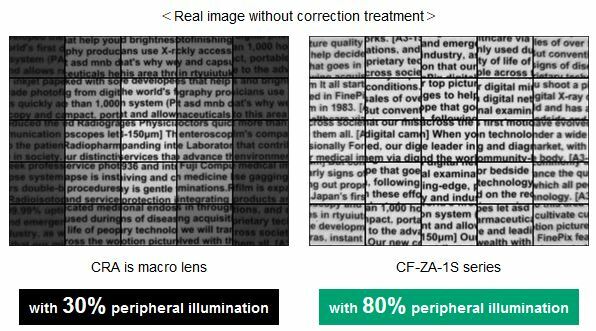 It nicely details how the design constraints the CFA for even illumination and is a nice tutorial. Get a 5MP lens for the price of a 3MP one! 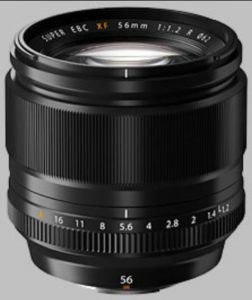 FUJI’s new XA-5M lenses. 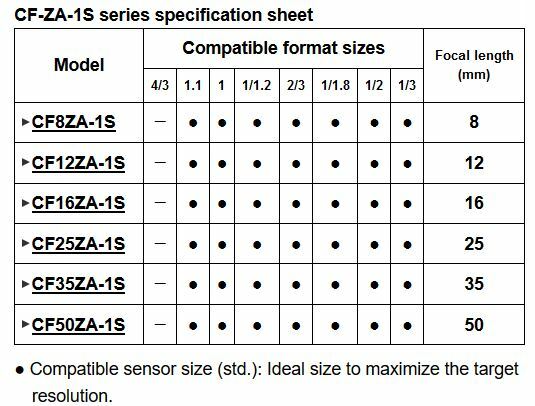 Fujinon introduced their first 5MP series, the 5MP SA-1s over a decade ago. Back then they were the first really high quality lenses for under $500. Further, the new CMOS sensors have more of a ‘stacked’ architecture, meaning each pixel is tall. Without having a lens that has a small chief ray angle, which keeps the light rays as close to perpendicular as possible to the sensor, each pixel possibly shades its neighbor. 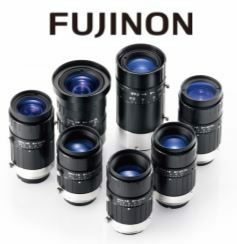 The new Fujinon lenses are designed to solve that problem for these sensors. So when comparing this line to their competitors, there is less shading at the edges and more even illumination! The results can be seen when comparing the center to edges in an application. In the example below, the text in the center and edge on the FUJI “4D High Resolution” lenses is crisp vs the competition on the right. 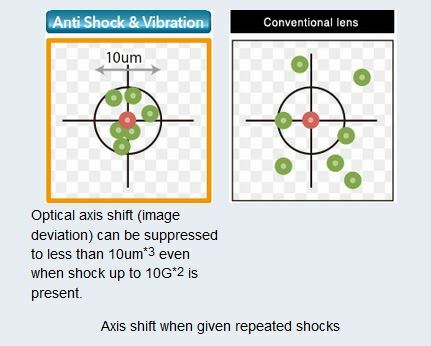 Related Videos – FUJI is now incorporating anti-shock and vibration into their lens series! 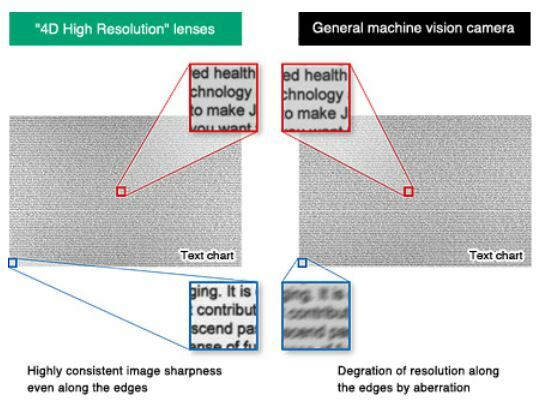 There is NO such thing as a “Megapixel” machine vision lens!.. Say what? ?